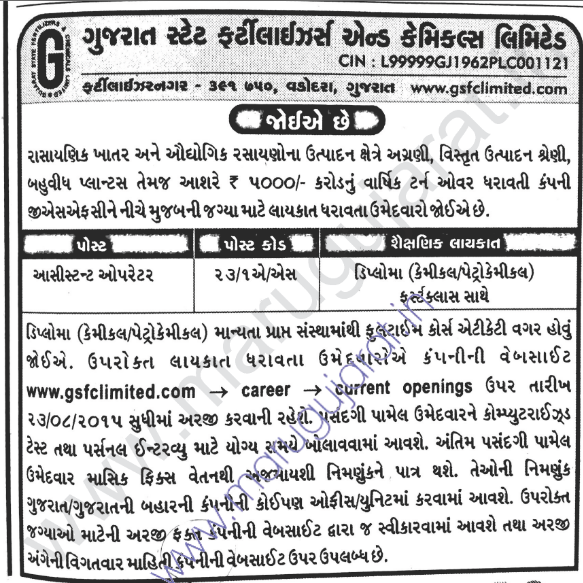 Gujarat State Fertilizer & Chemicals Ltd (GSFC) has published a Advertisement for below mentioned Posts 2015. Check below for more details. Educational Qualification : Diploma (Chemical/Petrochemical) with First Class (Min. 60% Marks) - Full time course.